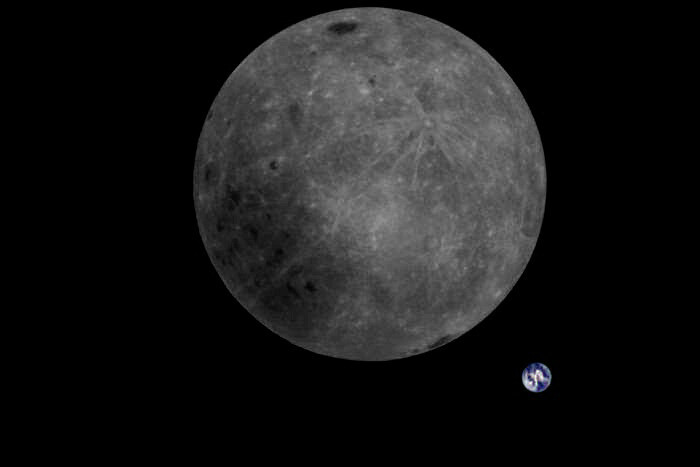 The volunteers of the Dwingeloo radio telescope put together a photo of the earth seen from the far side of the moon made by the Longjiang-2 satellite which orbits the moon. You can see it above. The satellite has an amateur radio transceiver with a camera onboard. Amateur radio enthusiasts can receive telemetry and images from the satellite. I think that is amazing. I love to see more volunteer and enthusiast involvement in space exploration. Let’s talk about that radio telescope for a moment. 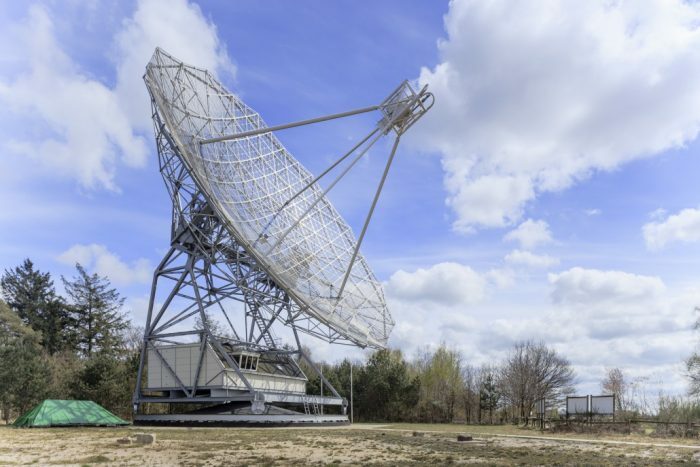 The Dwingeloo radio telescope is enormous. I have seen it up close many times on our Sunday walk’s in nature when my dad was based on an army base in the north of The Netherlands. The dish is 25mtr / 82ft in diameter. It was officially decommissioned in 1998, but taken over by volunteers. It was built in 1956. I was always in awe of it. I was maybe 7 or 8 years old at the time.